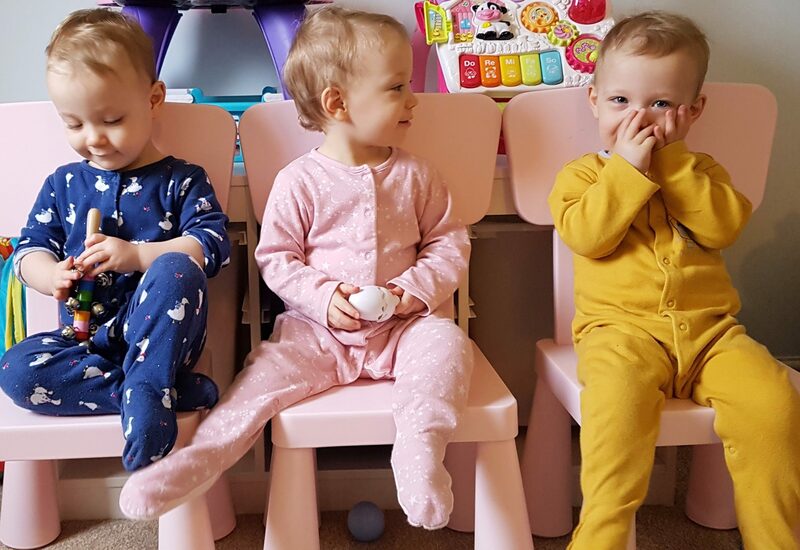 by Triplet Dad.In Home-life blog.2 Comments on So who’s who? Ava is the singleton, Blakely and Lacey are the identical twins. It was explained to us that there was a small chance all three could be identical. So that’s one egg got fertilised, split early enough for it to split again, and then one of them once more to create the twins. It’s rare though. we are now convinced all three are identical. Other than Ava wears blue vests, Lacey yellow and Blakely pink. Looks like this could get very confusing. There is a DNA test available but we don’t think we need it. Turns out one was so perfect God decided we should have two more the same. I call them the wrong names, have put them in the wrong cots, also dressed them wrong. I don’t feel like a bad parent though. I love them and treat them all exactly the same. I will sit with Lacey for an hour talking to her only for Stacey to come in and point out its Ava. It really is going to be an interesting journey ahead of us. They are all so cute and are blessed to have such a kind dad. All the best with remembering their names.